I was a very unhealthy child. I was born in 1939, in Roanoke, Va. I had several illnesses before my fifth birthday. Three different kinds of measles, and removal of my tonsils. When I was five I had chicken pox and mumps. While recovering from those diseases, I began showing the classic symptoms of diabetes. My parents took me to three different doctors, but they did not recognize my symptoms. There was no diagnosis. My excessive peeing and drinking so much water did not help those doctors to see the need for a blood sugar test. I had lost my appetite, and refused to eat. I just wanted to drink. One doctor prescribed a tonic that was supposed to restore my appetite. I still remember the tall glass bottle filled with dark brown liquid. It had a bad taste, and probably contained sugar. It was like the snake oil medicine that we have read about from the past. The tonic did not help at all. It probably made my condition worse. By the time we saw a fourth doctor I was very weak, and had lost a lot of weight. My ribs were very noticeable when my shirt was removed. The fourth doctor recognized my symptoms, and took a blood sample in his office. The sample was sent to a lab, and we waited a few days before we saw that doctor again. His office was on the second floor of a building on Main Street in Salem, Va. I struggled while walking slowly up the long flight of stairs. My father was carrying my three year old sister, and I was too big to be carried. My mother and I sat in chairs in the doctor's office while my father stood behind us , still holding my sister. I do not remember the doctor's face, or his words, but I saw my mother's face. She had a very pale and frightened look that I have never forgotten. My parents listened to the diagnosis. We were told that I had sugar diabetes. The doctor said I should be hospitalized the next day, and a different doctor would be taking care of me. I do not remember the hospital visit, except for the injections I was given, and the blood that was collected. I must have stayed in the hospital for several days. Insulin taken from pigs or cows caused me to gradually regain my appetite, and I stopped losing weight. By the time I was home I looked like a human being again, and my strength was very much improved. Almost all of what I have mentioned, thus far, I had forgotten. My mother and I talked about my early years many times when I was older, and I am telling you about our conversations now. 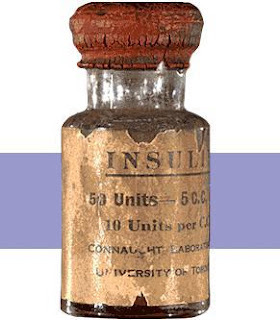 The animal insulin was a 24 hour insulin, so there was only one injection each day, before breakfast. My urine test result determined the dosage. Urine tests do not always approximate the blood sugar very well. If I had not voided for several hours the test could show high sugar because of sugar that was present hours before voiding. In order to have a more accurate test I should have voided, waited awhile, and then voided again.That would have given a better estimate of my level at that time. We did not know how it should be done, so my morning dosages were inappropriate many times, I'm sure. If I ate frequently during the day, and did not get too much exercise, I did not have hypos. During the night I would sometimes have hypos. Some of those hypos became seizures. I would thrash around during my sleep, and my parents would take care of me. There was always a glass partially filled with water, and several spoonfuls of sugar nearby. During a seizure my teeth would be tightly clinched, my body muscles would be drawn, and I would be almost unconscious, not knowing anything that was happening. Mother poured small amounts of the sugar water on my lips, until I had enough in my mouth to partially awaken me. Then I would drink the liquid more freely. I was always drenched with sweat, and very weak after a seizure. My body was sore the next day. 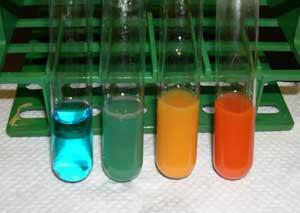 The sugar water caused my urine test to show high the next morning. I continued to have seizures for many years, but they occurred less frequently when I was older. There was never any effort made to call an ambulance. I don't know why. Perhaps it was because the nearest hospital was at least 10-15 miles from our house, and I doubt that the paramedics in the ambulance had glucagon injections available back then. Home care was probably the best solution. I think my mother saved my life many times during the years I lived at home.